Beautiful Incentives: Fan of #ShabbyChic #interiordesign? Check out my bathroom #decor. Fan of #ShabbyChic #interiordesign? Check out my bathroom #decor. Recently, I have been in the process of trying to Shabby Chic-ify my bathroom. Slowly but surely, it is coming together, as I am on a very small budget. I love interior design though, so I do what It takes. 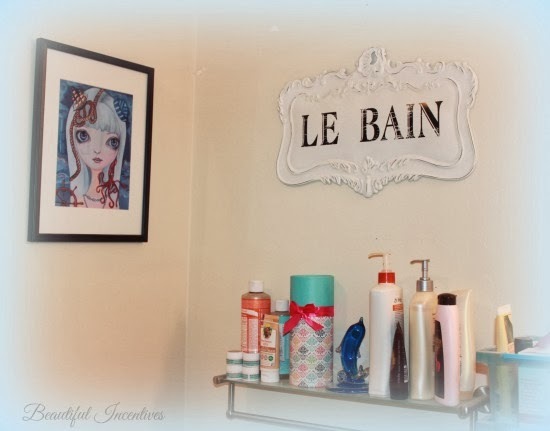 I am very picky with home decor, among other things, and when I found this Shabby chic distressed metal Le Bain sign on Worldmarket, I HAD to buy it. Le Bain is french for "The Bath" It was perfect to start the new theme for my bathroom and affordable. Only about $20 with shipping! I have always been in love with Shabby Chic Designs and this sign is perfection. The picture doesn't do it justice, I assure you. I know that some of you may be thinking,"Oh, she can make that herself". I can make it myself, but I spent as much if not less than it would cost to make it myself! That, let alone the fact that I would not search high and low and come up with a metal sign with that much beautiful detail for the frame. It is the Essence of French decor really, and whenever I walk into my bathroom, I feel like I'm transported to the olden days of France. It completely transforms the space. I can't wait to see what else I can find on there and other places to really bring this theme together. There are some things on H&M, that I am eyeing, such as this vintage inspired basket I need to get, and of course i'm stalking Shabby Chic on Ebay, Target vintage, Ross and more. Stay Tuned for updates! 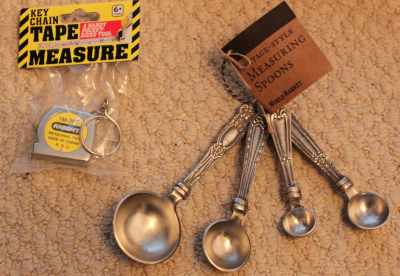 Here are a few other purchases from World Market that I love. 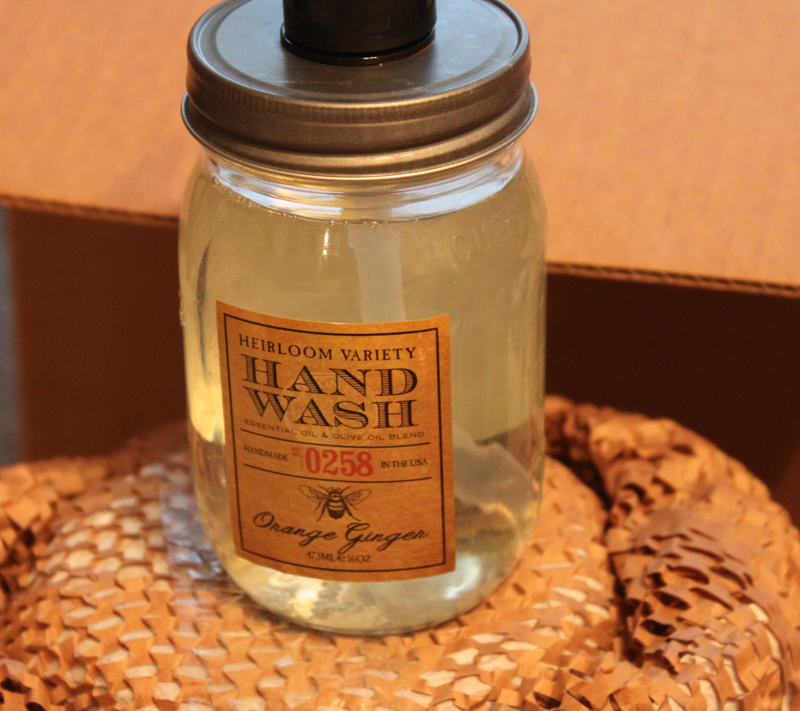 Vintage inspired measuring spoons and Mason jar hand wash in Orange Ginger, with vintage inspired labels and a nifty little mini tape measure for when I go on my home decor shopping sprees. Can never be without now!